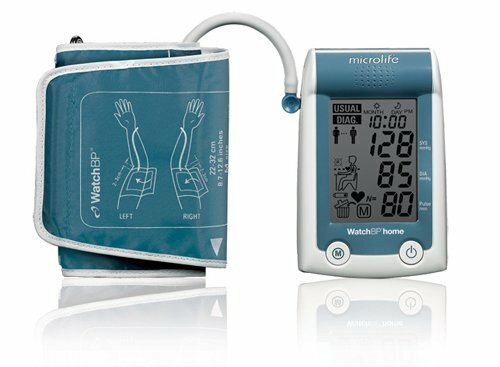 MicrolifeÂ® WatchBPÂ® home is a clinically-validated, home blood pressure measurement device that helps patients adhering to guidelines. Many clinical studies showed the importance of home blood pressure measurement in hypertension management. For many physicians, however, the concerns about the quality of the home measurements remain a significant hurdle. The WatchBP home eliminates most of these concerns by being the world's first, clinically-validated home BP measurement device with an implemented schedule that strictly follows ESH and AHA guidelines for self-measurement. In the Diagnostic mode, patients perform morning and evening measurements for 7 days, as prescribed. Physicians can read out the data from the device or PC with the added software, at the next visit. If you have any questions about this product by Microlife, contact us by completing and submitting the form below. If you are looking for a specif part number, please include it with your message.